1. 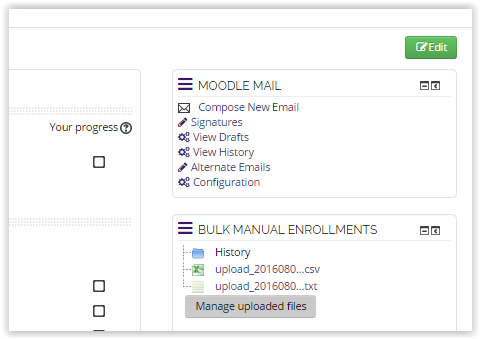 Log in to your course on Moodle. 2. Click the Turn editing on button in the top right corner of the home page. 3. Scroll to the bottom of the page. On the right side, click the Add a Block drop down menu. 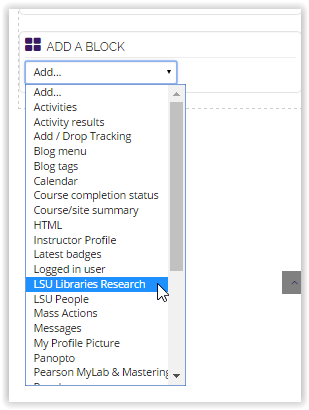 Select the LSU Libraries Research option. 5. The LSU Libraries Research block should appear.This block allows you to access the LSU Libraries Homepage, Discovery Search, and Research Support.